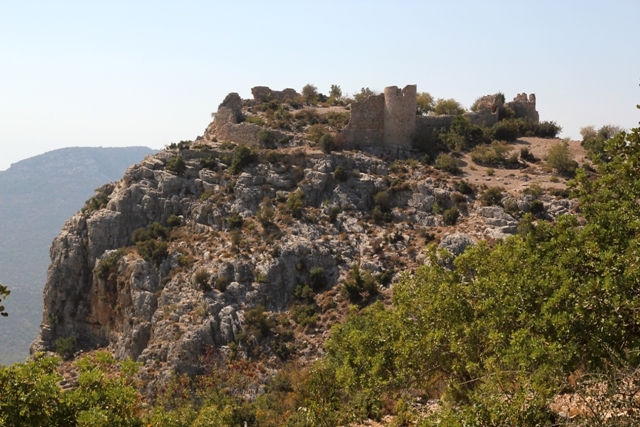 Notes: Tokmar Castle (Turkish: Tokmar Kalesi, Latin: Castellum Novumola) is a castle ruin in Mersin Province, Turkey,The castle was built by Byzantine Empire in the 12th century. Later on, it was captured by the Armenian Kingdom of Cilicia . In 1210, it was incorporated into the realm of Knights Hospitaller. It was later on captured by the Karamanids and finally by the Ottoman Empire in the late 15th century.